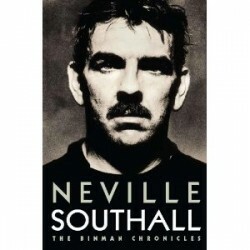 Phrases such as “complex character” and “enigma” might have been composed to fit Neville Southall. Yet the goalkeeper with the complicated nature claims he was just misunderstood during most of his amazing rags-to-riches career. Often tagged as moody or downright difficult, Southall attempts to set the record straight in an absorbing tale of his switchback adventure from hod carrier and binman to being acclaimed the finest goalkeeper in the world. Despite many point-saving or trophy-earning saves, Southall will always be remembered as the goalkeeper who went on strike during a match. He sat on the pitch with his back resting against a goalpost with his Everton team trailing 2-0 against Leeds on the opening day of the 1990-1991 season. People often regarded Southall as bonkers. He took a pay cut to abandon hod-carrying for the chance of a football career with Bury, didn’t bother checking pay details when he signed for Everton and later in his career joined Southend with no idea of the town’s location. His hatred of football’s celebrity circuit, celebration banquets and bling saw him branded a loner. Frequently he’d be showered and out of the Goodison Park door while his team mates were still shaking mud off their boots. He once snubbed an Everton FA Cup-winning celebration banquet, preferring to leave Wembley quietly and drive home on his own. Llandudno-born Southall left school at 16 with no qualifications, working unattractive, manual stints as the binman of the book’s title, a hod-carrier and a waiter while playing football at every opportunity for local non-league clubs. All he ever wanted to do was play football, anywhere, anytime. Even if he paid subs to play. Eventually Bury came calling and then Everton spotted his potential. His account of his signing by Everton manager Howard Kendall in 1981 is hilarious. Southall reveals Kendall tried everything to get him to celebrate with a drink – even after he insisted he was teetotal. Just 15 months after working as a hod carrier Southall was launched on a 16-year Goodison career that brought two league championships, two FA Cups, the European Cup-winners’ Cup, a record stack of Wales caps, the Football Writers Footballer of the Year Award, an MBE and that salute as the greatest goalkeeper in the world. His frank opinions in this book on the many players, managers and officials whose paths he crossed in 30-odd years are entertaining and insightful. Southall’s reflections on the Hillsborough and Heysel Stadium disasters and their consequences make particularly interesting reading. He pulls no punches when discussing management of the Wales team, Liverpool FC, and the reasons behind Everton’s decline from being the best team in England during the 1980s. Mike Walker look away now. and father. I doubt whether any aspiring footballer could possibly tread the same path to fame today. This autobiography, completed with the aid of SJA member James Corbett, is far more comprehensive than those under the names of footballers who seem to have been in the game no longer than five minutes. 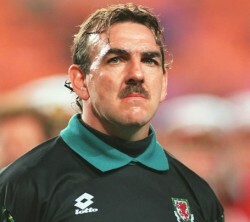 Big Nev really has been there, done it all and is prepared to share his experiences. A terrific read. Thu Dec 6: 2012 SJA British Sports Awards. An Olympic year extravaganza at the Tower of London. Click here for more details, news of members’ discounts and a booking form.